Through it all, we are there to guide facilities through their fire protection, plumbing, and HVAC needs. We can help you develop the specifications for the project to ensure that it meets code and insurance requirements. We design our projects in-house, so we are able to collaborate with the project managers and ensure materials are available, schedule can be met, and the design is as efficient as possible. Once the project has been completed, we provide a comprehensive owner training, so facilities understand how each element works, the inspection requirements, and the systems’ maintenance needs. We offer inspection services for fire protection, HVAC, and plumbing. We will inspect according to code and insurance needs, ensuring that each system is in proper condition. 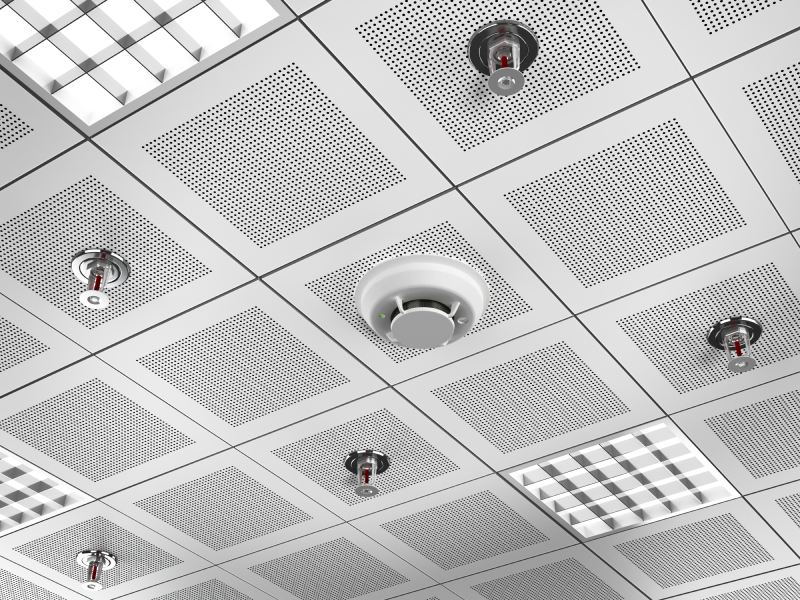 Inspection, testing, and maintenance services provide facilities with the peace of mind that fire protection systems are fully operational in case of fire. At The Stone Group, we are dedicated to ensuring the preparedness of fire protection and life safety solutions. Regular HVAC preventative maintenance is the best way to ensure trouble-free operation and peak performance. The Stone Group provides proactive maintenance agreements that have been proven to reduce equipment failures, downtime, and lost production. The inspections and maintenance are both completed by trained, union service technicians. Our commitment to providing the utmost in customer service has given us a reputation for excellence. We have experience in many different environments, performing residential and commercial plumbing repairs, troubleshooting, installation, etc. Our techs can handle any plumbing project from small to large scale. We have experience with all pipe materials sized from ½” to 24” and beyond. Our prefabrication facility allows us to perform high quality welds in a controlled and safe environment. We will plan, lay-out, install, test and repair all types of piping systems in accordance with all applicable plans, specifications, codes, and industry standards. The Stone Group is qualified to work in all areas of the painting and decorating trade. We understand that proper surface preparation is essential to a beautiful lasting finish. We also know that being prepared means being safe. The Stone Group's painters are experts in preparation and are trained in the proper safety precautions to take during on-site construction. Maintenance plays a large role in the efficiency, safety, and longevity of your equipment. The Stone Group is a ComEd Certified Trade Ally, skilled in energy efficient equipment maintenance and upgrades. ASK US ABOUT COMED ENERGY EFFICIENCY PROGRAMS!